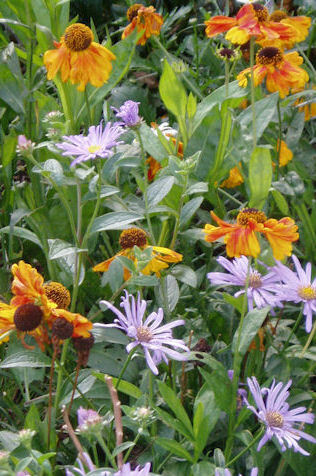 Good planting is the key to an attractive garden and planting schemes and detailed plans can be drawn up for entire gardens, for specific areas or for individual beds. Consideration is always given to the natural environment in the garden and plants are chosen specifically to suit the style of garden, its soil and aspect. Specific attention is given, as appropriate, to effective planting combinations, seasonal interest, colour themes, the use of fragrance in the garden and the level of maintenance anticipated. Planting services can include the production of schemes and plans, sourcing and buying of plants, arranging for their delivery, preparing the ground for planting and the planting of the plants themselves. Following planting, maintenance details can be supplied and a maintenance service is offered. Planting service also offered in conjunction with design service and renovation service.